Quasar: noun. Also, a fun word to say. Definition: any of a class of celestial objects that resemble stars but whose large redshift and apparent brightness imply extreme distance and huge energy output. What? All I heard was “bright energetic thing surrounding a black hole.” Sounds cool. You know what else sounds cool? A new summer textile from Alpinestars. It seems everyone and their brother is naming gear after celestial bodies nowadays, but who can blame them? Space is awesome. While the Quasar Textile won’t keep you safe from cosmic rays and rampaging comets (here’s looking at you, Halley), it will keep you nice and comfy on hot days, and if you get into an argument with the asphalt - you won’t be calling Houston with any problems (we hope). The obligatory mesh panels on the chest and belly are complemented by “advanced polyester fabric” in all the danger zones. Removable CE armor in the shoulders and elbows will allow you to bounce from Titan to Enceladus unscathed. Stretch panels on the elbows will allow you to get a more tailored fit, as will the sleeve and waist adjusters. Rounded out with a microfiber collar lining, some reflective details, a back compartment for armor, and a jacket-to-pants zipper and you’ve got a solid option for your summertime shenanigans. 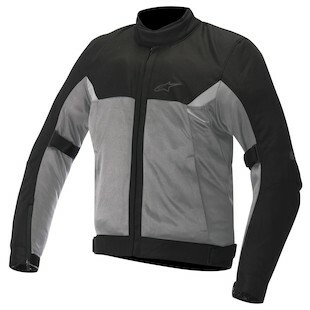 Despite the stellar name, I think the Alpinestars Quasar Jacket is a smart option for the rider who wants protection and comfort in the heat from Alpinestars, but without the road race look a lot of their gear often exudes. It’s not dull, by any means - but you won’t look like a Power Ranger (or spaceman) if you rock the Quasar. I’m okay with that. I hope you are too. Did he say road race? I pop wheelies on I-95 literally every day. I need slick moto threads to match my slick moto stunts. That, or you want gear that doesn’t look like something your grandfather wears on his touring mo-sheen. 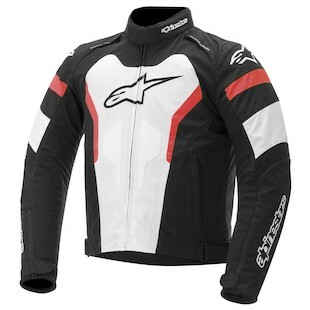 Enter the Alpinestars T-GP Pro Jacket. Astars is quite fond of their dashes and GPs and Pros and Pluses, and the T-GP Pro doesn’t stray far from that proven formula. Looking to stretch your riding season into the cooler temperatures, and want to look good doing it? The T-GP Pro has a 80g full sleeve thermal liner to keep you toasty when fall rolls around, or Spring . . . springs. This jacket comes with a full textile chassis, CE shoulder and elbow armor, pockets for back and chest armor, and some reflective graphics tossed into the mix. In one sentence, it’s a protective sport riding jacket that can swing the cooler temperatures. There is a bit of airflow in the way of “Zippered Dynamic Flow Control” vents, but it’s not a proper mesh jacket. You’d survive the summer heat, but only after sweating a bit. Finally, stretch panels on the sleeves and chest, as well as a pre-curved cut will make you feel at home on a sport or naked bike. All in all, this new spat of Alpinestars gear won’t be breaking the sound barrier, or winning any Nobel Prizes. However, a solid and thoughtful display is always welcome in the moto gear world. A conservative mesh jacket and a smartly styled sport textile? Just what the doctor (or astronomer) ordered.